Winter Sales, Concerts, New Museum Exhibits, More! Paris events during January ring in the New Year with celebrations and good cheer. Although days are still short and the weather can be damp and chilly, you'll find plenty of warmth inside cozy Paris bistros, jazz clubs, museums, and concert halls, making January the perfect month to explore the "real" Paris without lines of tourists everywhere. The eagerly awaited January Winter Sales markdowns bring a lot of excitement almost as soon as the New Year's celebrations end, with discounts offered on almost everything in the city: designer fashions, decorative items, jewelry. If you don't want to brave the weather, you'll find plenty of tours and cruises to keep you dry while letting you experience top Paris attractions. The famous Paris winter sales run from January 9 - February 19, 2019. 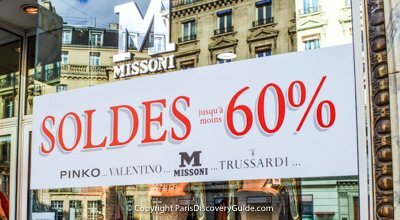 Look for Soldes signs in store windows all over the city, often followed by the amount of the reduction - typically 30-40% at the beginning but soaring as high as 70-80% at toward the end. Best places to find bargains? Everywhere! Luxury labels such as Chanel, Valentino, and Armani draw huge crowds - ditto for the "Big 4" department stores: Galeries Lafayette, BHV, Bon Marché, and Au Printemps. But don't ignore smaller boutiques (head to the Marais, Les Halles, Saint-Germain-des Près) and even global mid-market chains. As usual, coveted Hermès bags, ties, scarves, jewelry, and other goodies go on sale for only 2-3 days - January 10, 11, and 12, at Palais de Congrès near Porte Maillot (look for confirmed 2019 dates soon). @ Fondation Louis Vuitton, through January 21, 2019 - 120 defining works from American artist Jean-Michel Basquiat, including many displayed for the first time and others previously unseen in Europe, will be featured on all four levels of the Fondation's Frank Gehry-designed building. Tickets 0-10€ - see website for details. Fashion Week brings a special buzz to Paris during January, when designers, celebrities, and fashionistas from around the world converge to see the latest trends in Men's Ready to Wear (January 17-21) and Haute Couture (January 22-25). The best places to glimpse the models (assuming you're not going to the invitation-only shows) are around the venue locations - the Grand Palais in the ritzy 8th arrondissement, Palais de Tokyo in the 16th, Espace Eiffel near the Branly Museum in the 7th, Palais Brongniart in the 2nd, and at a variety of smaller, hipper venues scattered around the city. 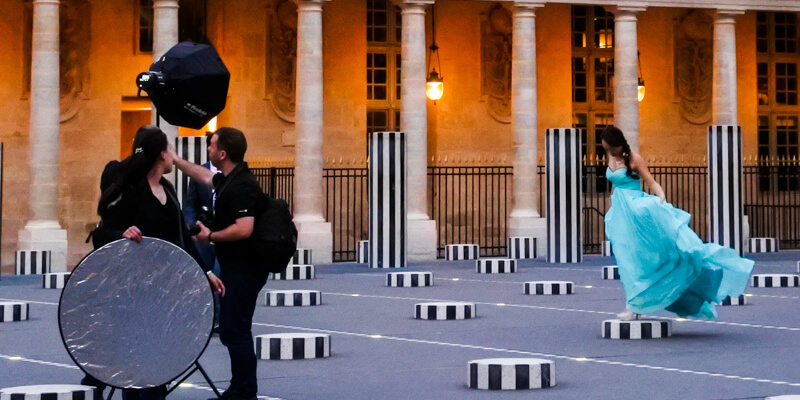 The trendy Marais neighborhood, especially around Place des Vosges, and Palais Royal are always good model-spotting locales. Why Visit Paris - In case you're wondering if you should visit Paris, here's why you should!